Over the past few months, there have been teases of a game that showed off a dancer moving to the gameplay of a platformer. 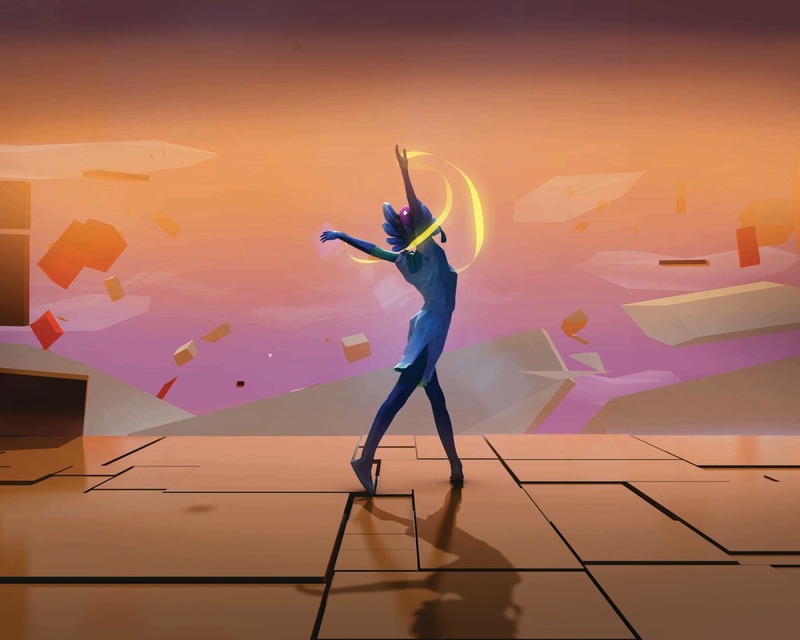 As the silhouette pirouetted around the screen and in and out of structures, there seemed to be a liquid beauty on show and a sense of something different emerging. Thus it is with Bound, the new platformer. It opens with a pregnant woman being dropped off and walking to a beach where she stares into the waves - and then it dissolves into another world where the initial creature we've seen on the teases is told her kingdom is under threat and she must fight the monster. And that is all that should be said for story for Bound. 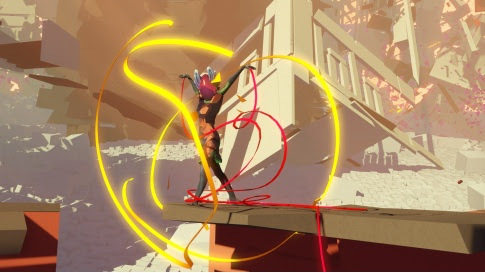 Wrapping visuals with a platformer work well for Bound, and the Journey comparisons seem fair given how the two games are pushing for an enigmatic vibe. 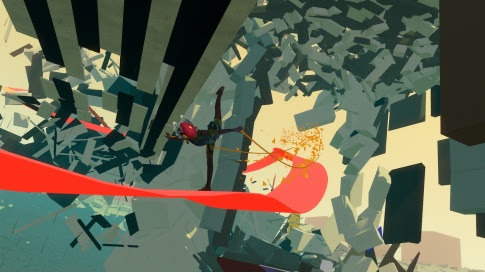 But more specifically, and visually, imagine if Sound Shapes visual ethos had been melded with Journey and parts of Batman's fight against Scarecrow in his visions in Arkham Asylum had all been intertwined. That in a nutshell is Bound, a game that's more about experience than about anything truly solid. There are themes explored in the game but to go into those too deeply is to spoil the game and how it plays out; but needless to say it's a tale of darkness in among it all. However, there are occasional frustrations with Bound. And it's primarily to do with its camera views and its boundaries. Occasionally, the camera can distort and even though walls disappear so you can see what's happening, the camera angles make the directions hard to follow and even harder to instigate.And from time to time, even though the game refuses to let you go off the edge no matter how hard you try, there are other occasions when you plummet to your death without any sense of rhyme or reason; it's a niggling inconsistency that makes the game unpredictable in its execution. Ultimately though, there are some truly strong themes resonating in Bound and Santa Monica's execution of them deserves applause. It doesn't always all truly work but its geometric distortions and its colour palette actually come together in a hauntingly original way to give an emotional reaction to what's playing out on screen. If that sounds like an obtuse recommendation, it kind of is in many ways. Bound is best experienced for yourself and its resolution as the pieces come together may hit you more than perhaps you had expected.